Directed by Karyn Kusama, of Aeon Flux and Jennifer's Body, she is known for creating strong female characters. It is a wonder then, that her best work is here, in 'The Invitation', that centers on the mistrust of a man over his ex-wife's new partner. Will (Logan Marshall Green) is invited out of the blue to a reunion dinner by his ex-wife Eden (Tammy Blanchard) after two years of separation, along with a group of close friends. What starts off as a normal dinner party with drinks and food takes a dark turn when Eden's new partner David (Michiel Huisman) shows a depressing video which leads Will to believe they are in a dangerous cult. Agitated and suspicious, Will's sanity slowly unravels as he recalls memories, pain and heartbreak. 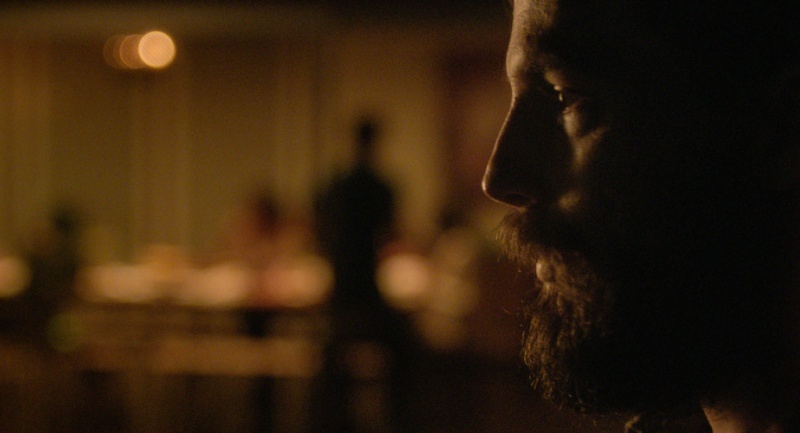 'The Invitation' has a gripping premise, one that is so simple, yet sinister. It is a domestic nightmare that anyone can relate to. Through the perspective of Will, things get stranger and stranger, more uncomfortable, more revealing. As an audience, we know Will is mentally troubled throughout this dinner party, but are his suspicions all just paranoia? For over two thirds of the movie, this appears to be the case, with several breakdowns and outbursts, leading to consolation from his friends. However, this tense thriller takes a pacy genre turn in the final third that wasn't totally unexpected, though short-lived. Had it embellished it with more of a Wes-Cravenesque cat and mouse chase, it would have made the wait much more worthwhile. At this point, feeling slightly disappointed at the speedy unraveling, Kusama throws in the sucker punch of a visual that ends the movie, an ominous and sinister symbol of helplessness. 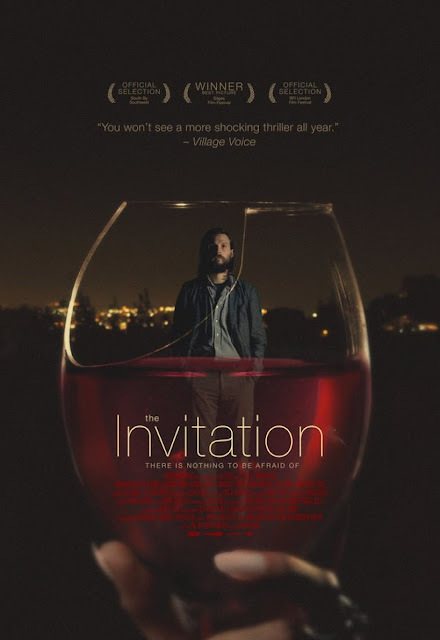 'The Invitation' is a gripping, though slow film that is ominous and uncomfortable with a solid cast that makes you wait before taking a predictable turn that is disappointingly shortlived, but the memorable and haunting final shot somewhat makes up for this.